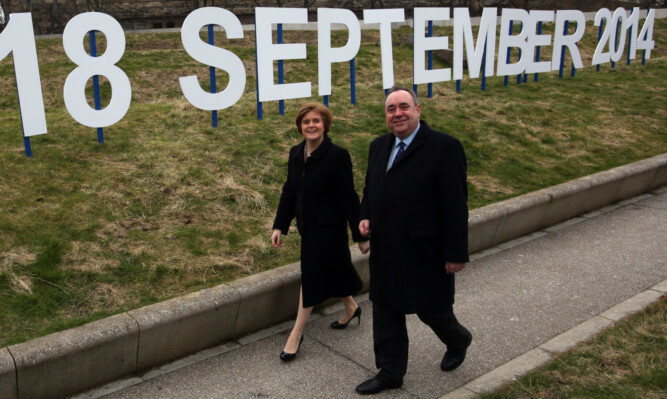 Finally, the date of the referendum on Scottish independence has been decided September 18, 2014. Most of the coverage so far has focused on the announcement of the date to the Scottish Parliament by Alex Salmond. However, technically the Referendum Bill, introduced to Parliament and published on Thursday, reveals much more than that the actual details of the vote. It confirms that Scots will be asked the question: “Should Scotland be an independent country?”. The proposed legislation also provides that the referendum will be preceded by a 16-week formal campaign period, during which limits will apply to the amount of money any registered participant may spend on campaigning, aimed at ensuring a level playing field. It states it will be overseen by the independent Electoral Commission, who will be responsible for regulating the campaign rules, informing the public about the referendum and reporting to the Scottish Parliament on the conduct and administration of the referendum. It also lays out that it will be conducted under the direction of a Chief Counting Officer responsible for appointing local Counting Officers to run the poll. But the important matter this weekend is that we now know the date. That no one had the slightest inkling of the proposed date right up until the moment that Mr Salmond announced it was remarkable. Only a tiny number of individuals knew the date before the announcement. Several members of the Cabinet didn’t know, neither did any of the SNP back-benchers, or Business Manager Joe Fitzpatrick. Even Lord Advocate Frank Mulholland, who had to give the Bill his legal approval, didn’t know. The timing of the announcement, needless to say, from such a wily operator as Mr Salmond, gives him maximum political advantage, coming as it did, two days before his spring conference. That gathering, held in Inverness yesterday and today, sees the party activists in buoyant, if not exultant mood. Yesterday, Mr Salmond received a rapturous reception, and such is Nicola Sturgeon’s growing popularity among Nationalists, thanks to the way the referendum legislation has been piloted through Holyrood, she is likely to receive a similar ovation today. The First Minister says Scotland now faces two futures. “Continuing with an outdated political entity that ill-serves the interests of the people of Scotland, a system that will continue to give us governments we didn’t vote for. “Or independence, where Scotland will get a Parliament that is both fully-empowered and fully-accountable to those whose lives are affected by its actions,” he said. “With full economic levers and access to our huge natural resources, we can not only defend the progress made with devolution but we can become a fairer, more prosperous society. However, Scottish Labour leader Johann Lamont claims that many people would breathe a sigh of relief, now that the date had finally been announced. “We can finish this constitutional debate once and for all and get on with dealing with the issues and priorities of Scotland. “Until then Scotland remains on pause,” she said. Scottish Conservative leader Ruth Davidson added that after waiting two years, the people of Scotland deserved to know when they would go to the polls. “I believe the people of Scotland will vote to stay within the UK and I look forward to setting out the positive case for remaining part of the most successful social and economic union in the world,” she said. Following the Bill’s introduction and publication on Thursday, the next significant dates in its progress will be from May to June, when the Scottish Parliament’s Referendum Bill Committee takes oral evidence and scrutinises the detail of the Bill. Then, in early September the Stage 1 report will be published, mid-September will see a Stage 1 Debate in the chamber on the Referendum Bill, followed in early to mid-October by Stage 2 scrutiny. In mid-November, Stage 3 of the Bill will be read in the Chamber, with Royal Assent expected in December. At last, it’s game on.